Quite why the developers settled on a mouse protagonist instead of a mole for this game is beyond me. 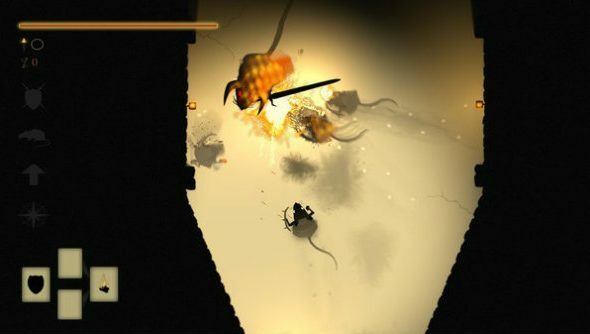 If you’re going to have a game that’s a homage to Dark Souls, but starring a rodent, surely you’d go for ‘Dark Moles’. These aren’t inspired by Dark Souls, but our list of the best indie games on PC is still solid. Not only has DarkMaus failed when it comes to naming conventions, but according to the Steam page it’s designed with an Xbox controller in mind. Yes, this is a game where you play as a mouse, but where the preferred control method is not a mouse. That mole thing is looking more and more sensible by the minute. It does sound rather good, though, riffing on the Souls template, forcing players to learn from their mistakes, to not be greedy, and to adapt. It has all the medieval weaponry you’d expect from a Souls game, too – spears, broadswords, bows and sorcery – so you can be the mouse-ter of your own playstyle. If you fancy a challenge, DarkMaus is £6.99 on Steam.